Split-level church has multi-media & audio booths in sanctuary for recording/streaming. 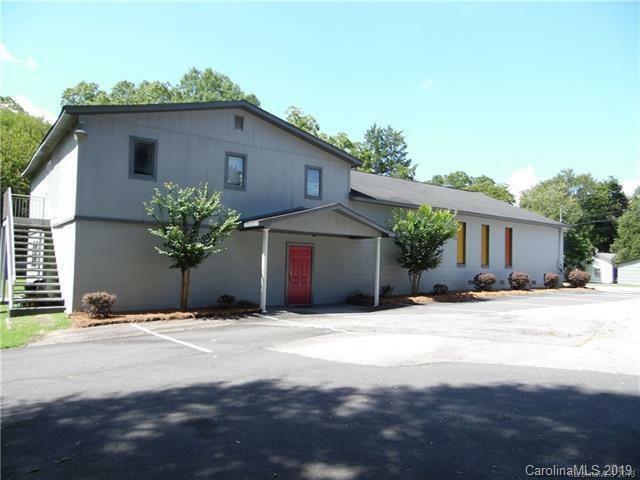 In addition to the sanctuary, this church has a full kitchen, dining room, 3 (possibly 4) classrooms, office, storage room, cleaning closet, men's restroom, ladies restroom, and half bath in classroom. Paved parking lot is marked off for 24 spaces with additional parking in the lot across the street that comes with the sale of property. Three lots come with this property.